For every disease there are symptoms and you can cure those diseases if you trace those symptoms without taking disease to next level. 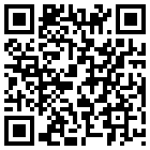 For everything you need to some guide or you should know it before. 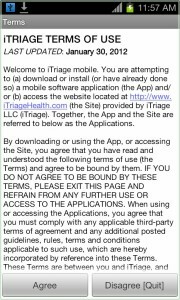 The iTriage is an Android application which allows you to answer your entire question regarding your medical conditions and the where you should go for further treatment. 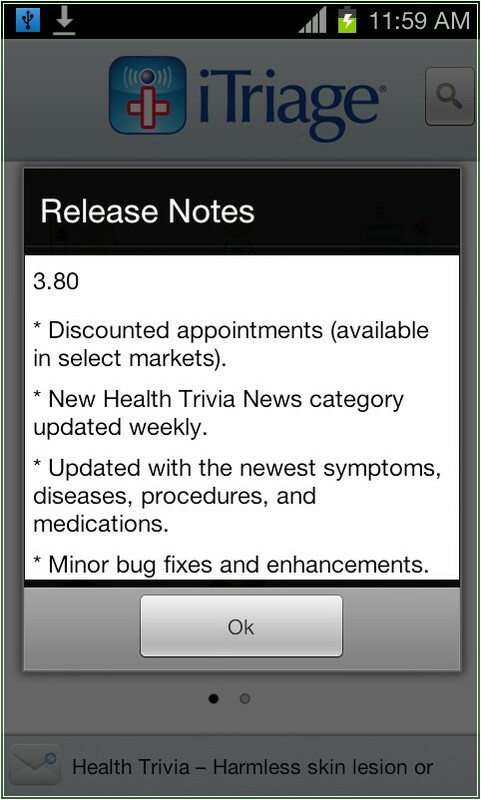 iTriage Health the Android application is developed by two ER physicians and it’s among the most downloaded Android application in your hand to make better healthcare decisions. 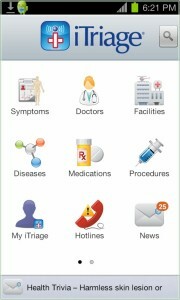 iTriage is your Health guide which allows you to save, access and share your healthcare information which is important to you. 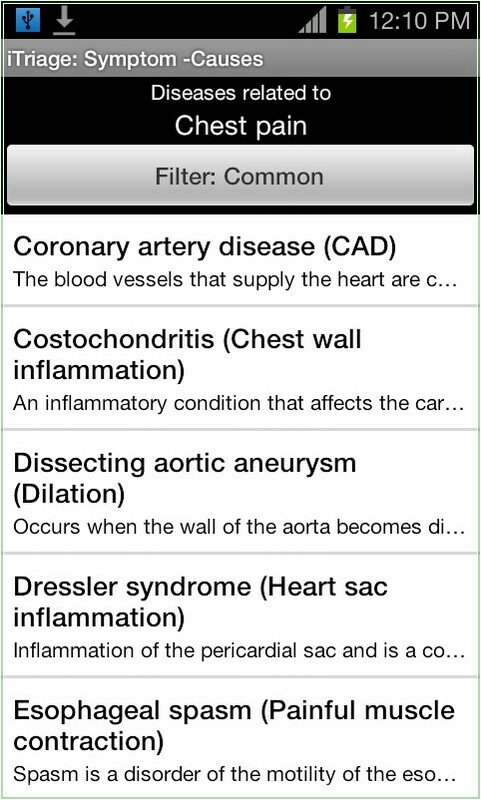 This application provides users with thousands of information pages on various symptoms common and uncommon, diseases information and procedure to cure or medications for the same. 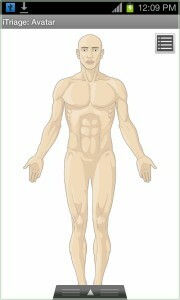 You can directly search for the symptoms related to the pain or fever or conditions you have in the body parts of your and get complete information along with useful options about the disease. 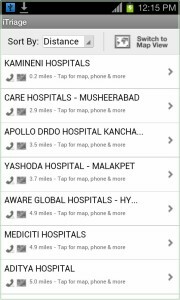 What more when you are browsing about those diseases description you also have the options to find the closest medical facility around your area in map view or distance wise as well. 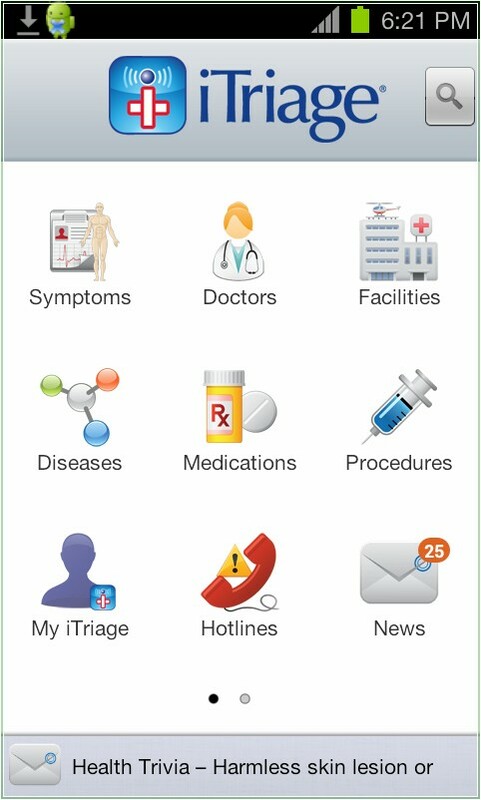 You would be on the iTriage home screen where you have the separate tabs for the Symptoms, doctors, facilities, diseases, medications, procedures, my iTriage, Hotlines and News. 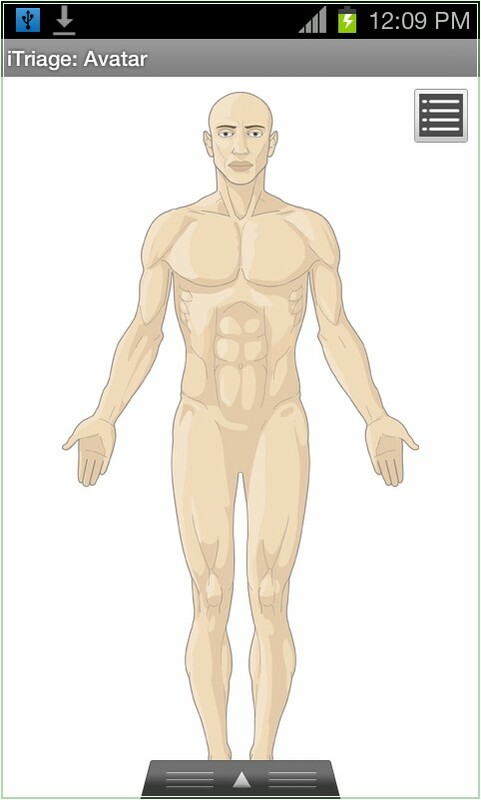 Symptoms tab will lead you to the complete body of human being where in when you touch each of the parts, you would be taken to various symptoms which are common like pain, fever and other sorted in common, less common and rare. 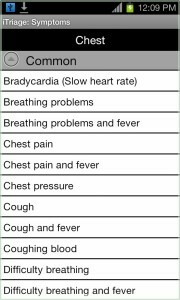 So practically when you are having some pain or fever or anything in any parts of your body which shows out some symptoms will provide diseases is related to. 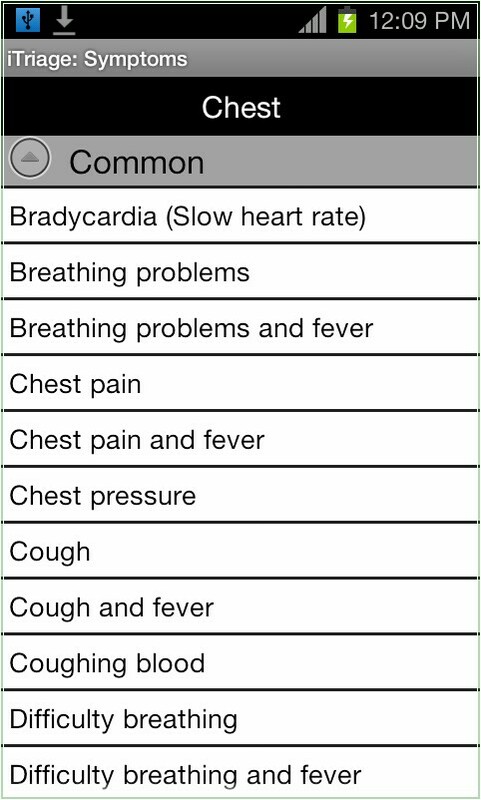 For example I have a sudden chess pain, then to detect the disease, you would go to Symptoms tab then tap on the chest area and then I select ‘Chess Pain’ among the listed symptoms. 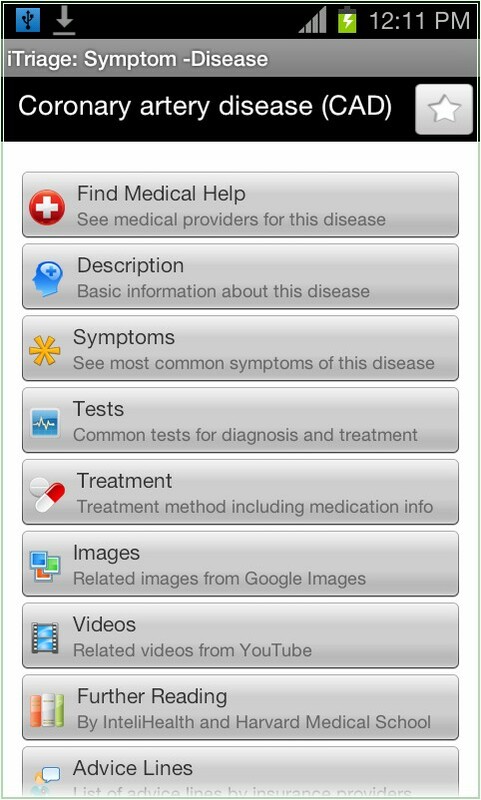 Then when you tap on that you would get the diseases list related to chest pain. 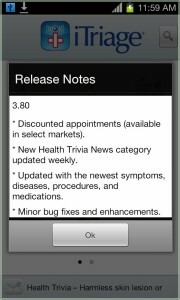 Furthermore the detailed of each diseases are explained and you can classify or know more about them by reading the complete description. Just when you are reading the description, you will find the various options in the page which are the find medical help, symptoms, suggested common test, treatment, images, videos and further readings. When you tap on the Find Medical help, you would be asked to find a provider using the current location, address. 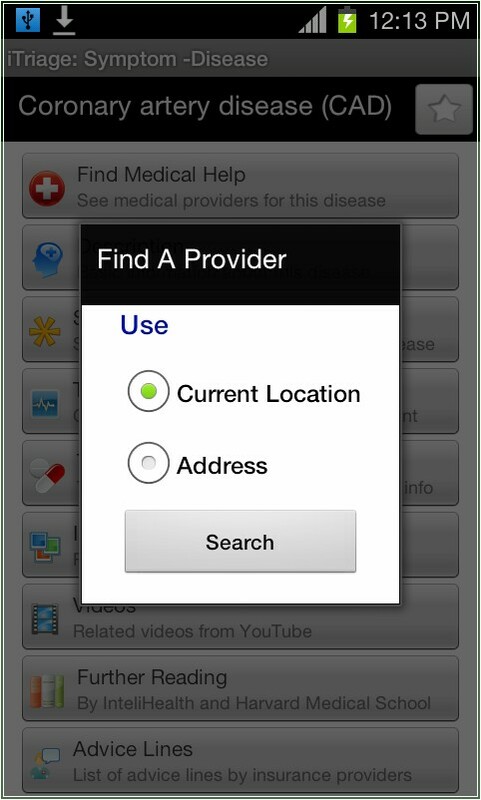 Now depending upon your location the application will return the results along with direct call options, details and switch to map view. 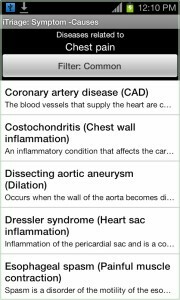 The Diseases tab allows you to go through the various diseases along with complete detailed description and lot more like medical help, symptoms, test recommended, treatment, images and videos help guide. 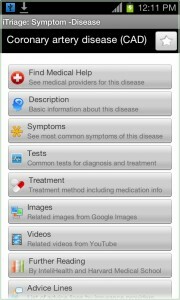 iTriage Health application can be easily downloaded from Android Apps Labs for free. 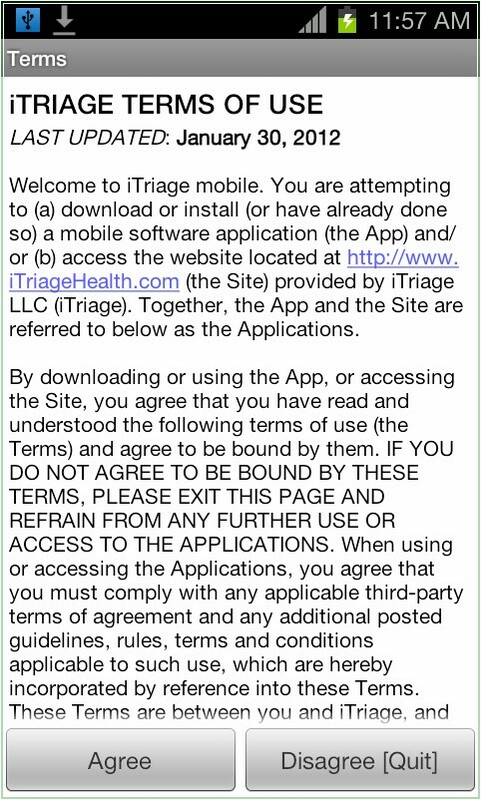 To download it directly on to your mobile phone, you need to visit the Android Apps Labs page listing of iTriage Health application from your phone’s browser and then click on Install to automatically proceed with the installation. 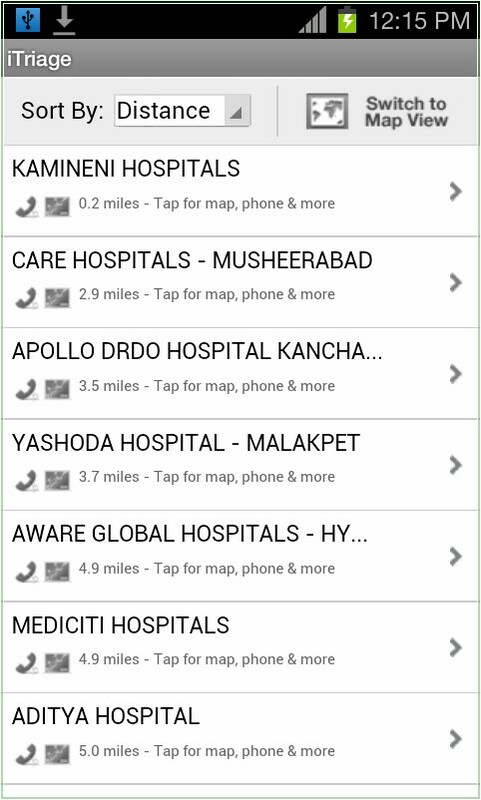 The iTriage Health is the right Android application which allows you to quickly go thorough various medical help, symptoms to detect diseases and then look out for doctors in right time. 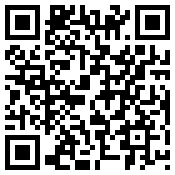 This works perfectly for all countries and requires an active internet connection. yes since its consuming more ram it is hanging up!